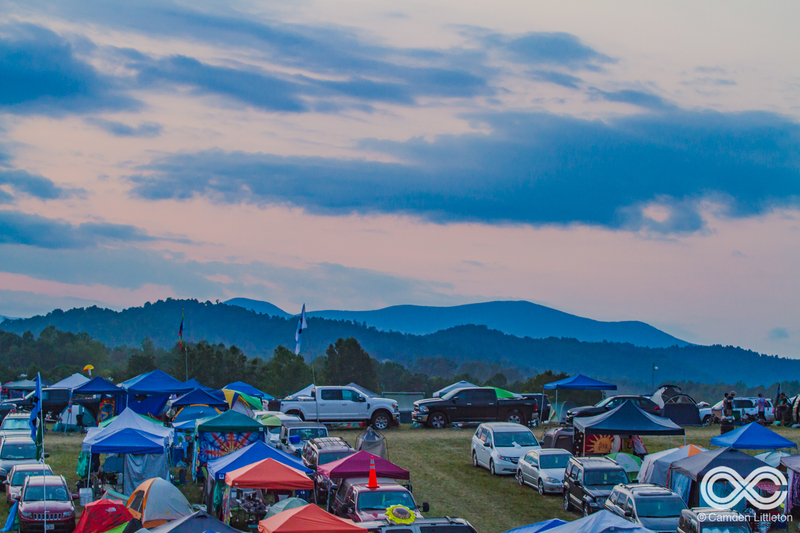 With LOCKN’ fast approaching, it’s time to plan your accommodations! 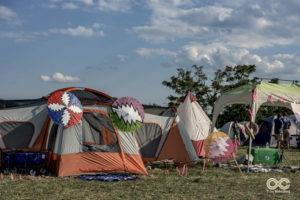 Whether you find yourself to be a nature enthusiast, or would much rather have a shower and a bed to relax between festival days, LOCKN’ has something for everyone. However you do LOCKN’, you’re guaranteed an experience that will change your life forever, turning strangers into friends, and friends into family. 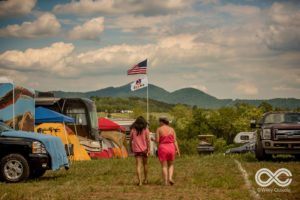 LOCKN’ offers a wide variety of camping options that allow you to live it up while experiencing the outdoors in Virginia’s beautiful Blue Ridge Mountains. 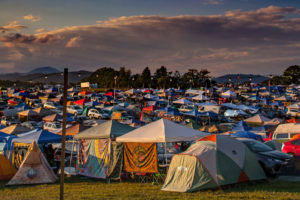 Tent camping is one of the best and most affordable ways to experience LOCKN’. Conveniently located a short walk from your vehicle, you’ll find yourself in the middle of nature without the strings of the material world holding you back, making this an ideal camping option for the festival experience. Coming by car? Grab your tribe and secure a campsite next to your vehicle. The prime location will put you a stone’s throw away from all the action. 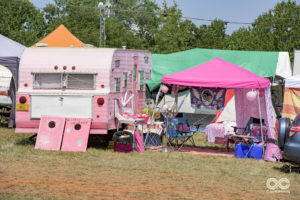 LOCKN’ is the perfect place to bring your RV, with a designated RV camping area that’s perfect for your home on wheels. Power is included so you can plug in and cool down.Grey water and fresh water services are available for purchase. 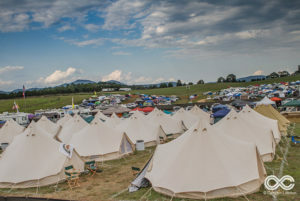 LOCKN’ offers specialty camping experiences that cater to patrons’ individual needs. 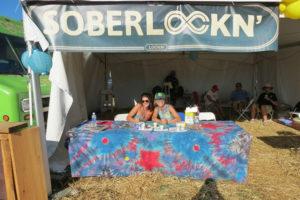 For those looking for a substance-free area, we offer SoberLOCKN’ Car Camping. 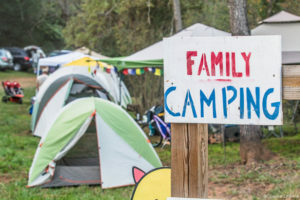 For those coming with children and looking for a family-friendly environment, we offer Family Car Camping alternatives. Want the ultimate LOCKN’ experience? GO VIP or Super VIP! 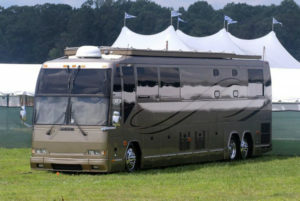 Enjoy exclusive VIP and Super VIP campgrounds near the venue with, air-conditioned bathroom, flushable toilets, complementary showers, and other luxurious perks. Tent-only camping, car camping, and RV parking are available, along with a few other premium offerings. You’ll feel like a star when you spring for the VIP treatment. Skip the packing and hauling and let us do the set up for you. If you enjoy a comfy bed and a private place to sleep at night, you can elevate your LOCKN’ experience through our “Glamping” packages, which include a private tent, fans, a bed, and so many more special amenities. And if you can’t stay away from Instagramming your LOCKN’ lifestyle, you can even charge your electronic devices! So why not treat yourself? Sleeping in a tent isn’t your thing? Rent one of our RV’s, and enjoy the comfort of your own private, comfortable recreational vehicle to unwind while living your best life. Want to truly live like a rock star? Rent a tour bus and experience the ultimate LOCKN’ experience all weekend long. LOCKN’ offers travel packages with GA, VIP, and Super VIP options. In partnership with CID Entertainment, LOCKN’ is offering all-inclusive special travel packages that take away every trace of “roughing it.” You can enjoy the comfort of a hotel room without having to worry about a neighbor who doesn’t have the same affinity for sleep as you. Cville Travel offers hotel and shuttle packages from Hyatt Place Charlottesville. You can also find your own rooming and catch Cville Travel’s park and ride shuttle to and from the show.